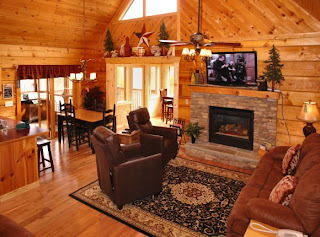 Click here to see a full list of cabin 30's amenities as well as photos! I absolutley love this cabin. We are coming in September. We were looking at this one before it was renovoted as the place we wanted to stay due to the great location to the pool and the fact we could just walk our little one over. I had called and received the pricing but unfortunatley, a couple weeks later when we called to reserve it they informed us that it had been renovoted to a 2 BD with gameroom and the price went up. So sad! We are now staying in 33 which still looks so beautiful! Either way we are excited to go! We love it here and the staff is wonderful! We will never go anywhere else. Thanks Oak Haven and we will see you September 5th.